The iPad Air 2 is the sixth-generation iPad tablet computer designed, developed, and marketed by Apple Inc. It was announced on October 16, 2014 alongside the iPad Mini 3. The iPad Air 2 is thinner and faster than its predecessor, the iPad Air, and features Touch ID. 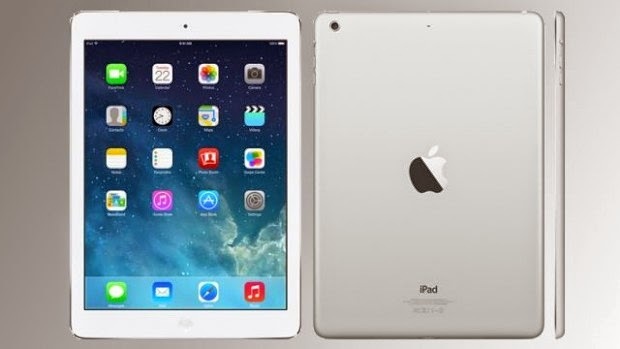 The iPad Air 2 was announced during a keynote on October 16, 2014. The iPad Air 2 ships with the iOS 8.1 operating system preinstalled and includes a version of Apple Pay with the in-store NFC functionality removed. The included Touch ID sensor allows the user to pay for items online without needing to enter the user's card details. iOS 8.1 comes with several built-in applications, which are Camera, Photos, Messages, FaceTime, Mail, Music, Safari, Maps, Siri, Calendar, iTunes Store,App Store, Notes, Contacts, iBooks, Game Center, Reminders, Clock, Videos, Newsstand, Photo Booth and Podcasts. The Apple App Store, a digital application distribution platform for iOS, allows users to browse and download applications made by various developers from the iTunes Store. Additional apps made by Apple itself are available for free download, which are iMovie, GarageBand, iTunes U, Find My iPhone, Find My Friends, Apple Store, Trailers, Remote, and the iWork apps (Pages, Keynote, and Numbers). Like all iOS devices, the iPad Air 2 can also sync content and other data with a Mac or PC using iTunes. Although the tablet is not designed to make phone calls over a cellular network, users can use a headset or the built-in speaker and microphone to place phone calls over Wi-Fi or cellular (if hardware supported) using a VoIP application, such as Skype. The iPad Air 2 inherits hardware that is similar to what is in both the iPhone 6 and the iPhone 6 Plus. One major change is its processor, the new Apple A8X which is a high-variant processor of the Apple A8. It also uses the Apple M8 motion co-processor and is the first generation of the iPad to inherit the fingerprint Touch ID sensor first developed in other Apple products like the iPhone. In addition, it includes an improved 8-megapixel (3264×2448) rear-facing camera with 10 fps burst mode and slow motion video at 120 fps. The front-facing FaceTime HD camera has also been improved, with a larger ƒ/2.2 aperture allowing more light in the image. Unlike its predecessors the silent/orientation lock switch has been removed to accommodate for the reduced depth. Instead the user would need to use the Control Center facility to access these functions. It has a slightly smaller battery of 7340mAh as compared to its predecessor but Apple claims the same 10-hour battery life as before. The iPad Air 2 is available in 16, 64 or 128GB storage options with no expansion options. Last updated on 12 November 2014 at 12:22.